You Are Here: Home » Lifestyle » Is The Eiffel Tower Being Counterfeited As Much As Chanel? Is The Eiffel Tower Being Counterfeited As Much As Chanel? All across the globe, manufacturers have counterfeited products in order to earn money through another brand’s exceptional value. The city of Paris has experienced its fair share of dealing with these issues for years, considering it has given birth to such notable brands as Chanel, Dior, and Louboutin. Handbags and clothing aren’t the only things that have been counterfeited from this great city though – actual buildings have as well. Since its construction in 1889, the iconic Eiffel Tower has been replicated in six of seven continents because of the crowds and buzz it creates. Let’s take a journey now around the world and discover if there is an “Eiffel Tower” near you. The first stops on this journey will be at a few theme parks throughout the world that have brought a little Paris to their playground. Amidst the Disney Resorts stands tall the Eiffel Tower, where tourists flock to sense the Parisian life. Epcot’s French Pavilion offers shops, restaurants, and the ambience of what France appeared like in the late 1800s. 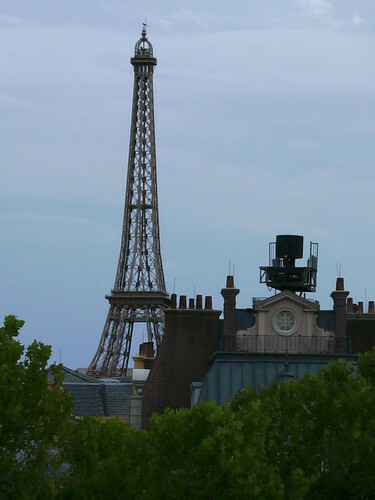 When first built in France, the tower held a bright tan color. However, the tower in Epcot contains a tanner color to reflect the time period. Next we shall travel north to King’s Dominion Park in Virginia. Built in 1975 as one of the first attractions, and one of the main attractions upon completion, this tower stands one-third the size of the original tower and can take 50 visitors at a time to the top where they can see spectacular views 20 miles out. Greetings, from the Far East in Tokyo, Japan! 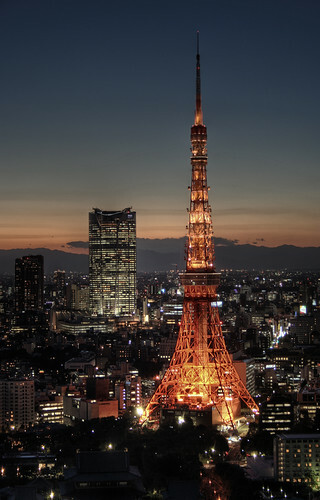 This is where the Tokyo Tower has become an intricate park of the skyline since 1958. This tower attracts about three million visitors per year, where they can capture photographs of Mount Fuji, the Pacific Ocean, skyscrapers, and the Imperial Palace from its observatory deck. It stands 30 feet taller than its cousin in France, but is 30,000 tons lighter. Heading back West, we find ourselves located in Gomez Palacio, Mexico, where donkey carts, desert sand, and mountains make this Eiffel Tower definitely feel out of place. This tower was resurrected to celebrate the towns 100 year anniversary of being a municipality. Not only do these towns contain replicas of the Eiffel Tower standing in them, they also share the city name. Virginia, Tennessee, Texas, and Michigan, all of which have a city named Paris, have smaller scaled Eiffel Towers in their towns to show homage to where their town’s name stems from. Parizh, located in Russia, also built a tower replicating the most photographed landmark in the world because the names are very similar. From France to Russia, and from Mexico to the Disney Resorts in Florida, it is clear that the Eiffel Tower has left its mark on the world. Even though the Eiffel Tower probably hasn’t been counterfeited more than Chanel, it has dotted the globe in many towns across the world in hopes of bringing the success that the Eiffel Tower has brought to Paris. In addition to the ones mentioned, there are over thirty more replicas spanning the world sharing a little part of Paris. As we wrap up our journey, be sure to be on the lookout on your next trip as you may run into another Eiffel Tower. Nick Walz is an avid traveler who loves reading and writing about various places around the globe. You can contact him on Twitter @Nick_Walz.